The 2017 Great Northern Dive Show is underway this weekend (8-9th April) at Event City, Manchester. 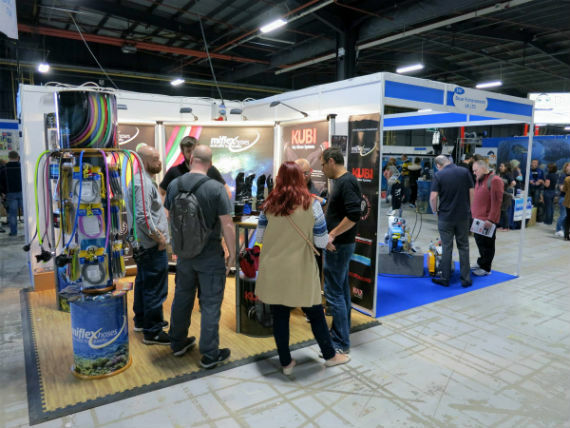 The exhibitor list at this year’s show includes manufacturers Custom Divers, Kent Tooling and O’Three, as well as scuba travel firms, conservation groups and dive agencies (RAID). Uniquely perhaps for a UK show, TGNDS boasts a glass-sided dive tank for audiences to watch live presentations on buoyancy and new equipment demonstrations.